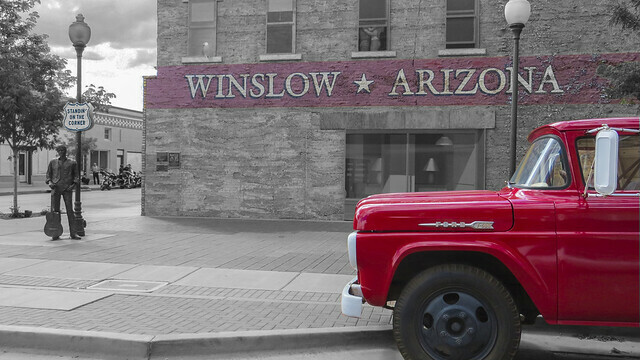 Today we’re taking you from standin' on a corner in Winslow, Arizona, to the old train depot in Holbrook along historic Route 66. Just click through the slideshow above, and you're on your way. Why the tour? We’re feeling nostalgic after our Route 66 plate was recently named best license plate in the nation. If you’re interested in getting the plate for your vehicle, visit the MVD website and then order online at Service Arizona. If you missed the award ceremony, take a look at our Route 66 Specialty Plate Flickr album. There are some very unique classic cars included in the album!